You are here: HomenextPeoplenextLocal folknextLorna Vyse: do you know her? Twelve years ago John Ricks, who lives in Tralee in County Kerry, was mooching around a stall in his local street market. While he was searching through the contents of the stall, he came across an old photograph album. Intrigued by its old snapshots, he decided to buy it and parted with the princely sum of one pound. At home he began to flick through the pages when his eye was caught by one particular photograph. Looking back at him was a beautiful young woman, whose name he discovered was Lorna Vyse. For some reason John was instantly captivated by this long dead young woman, and there and then decided he would do all he could to find out about her life. 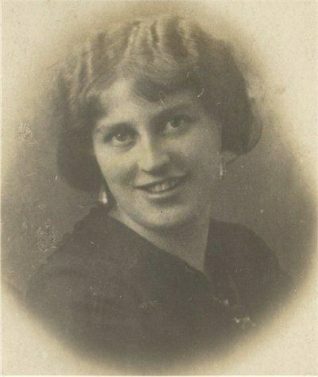 Apart from Lorna and her family, the album contains a large number of autographs of variety stars, so John was able to deduce that Lorna worked at various theatres in Brighton during the years 1913 to 1924. The venues mentioned in the album include the Palace Pier, The Dome, The Hippodrome and The Picturedrome which was in Western Road. One of the autographs is from Ben Warriss who went on to team up with Jimmy Jewel and become one of this country’s most famous comedy duos Jewel and Warriss. Unfortunately John was unable to find out where Lorna lived when she was in Brighton, but he did discover that her mother lived in Littlehampton and probably died in 1918. 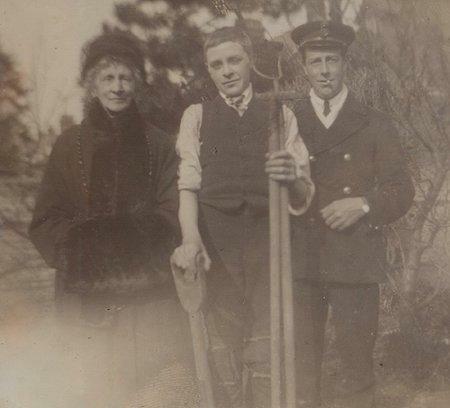 Lorna had one sister called Ada (who became Ada Armstrong) and a brother George who went to sea. Despite years of research and many hours of trawling the internet looking for Vyse family members, to date John’s search has been unsuccessful. But he keeps on trying! The album contains some lovely family photographs and John would dearly love to find any of Lorna’s descendants so he could pass it onto them.